Television personality and food expert Martha Stewart, who launched her business empire while living in Westport, is apparently no fan of her neighbor, President Donald Trump. At the Frieze Art Fair in New York, a photo was taken of Stewart giving the middle finger to a photo of Trump, who, like Stewart, has a home in Bedford, N.Y. The photo went viral but the Twitter account that posted it has been set to private. 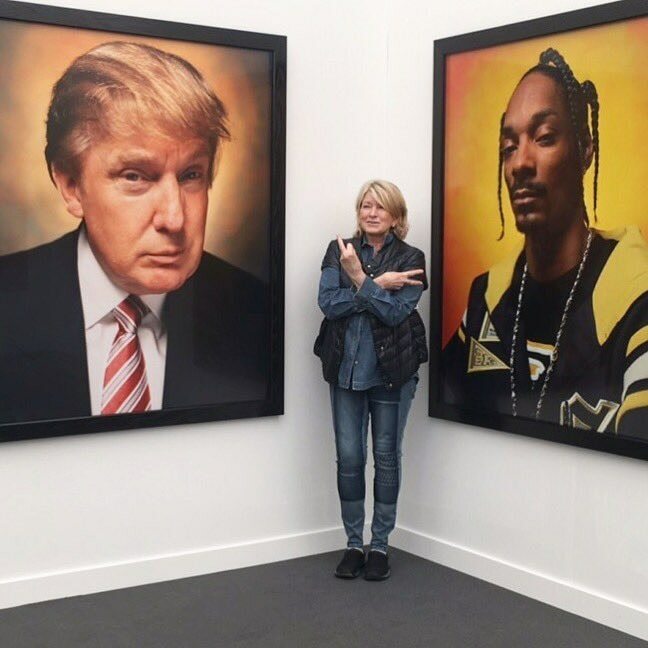 Another photo shows Stewart standing in between photos of Trump and rapper Snoop Dogg, with Stewart giving the V signs to both men. Stewart endorsed Hillary Clinton during the presidential election. She hosted her own version of "The Apprentice," but it was canceled after one season. To see the flip off photo, click here .